We are huge fans of Pete the Cat around here, as you can see from the sampling of our books, the keychain I keep on my bag, and the pouch I use for pens and USB drives. 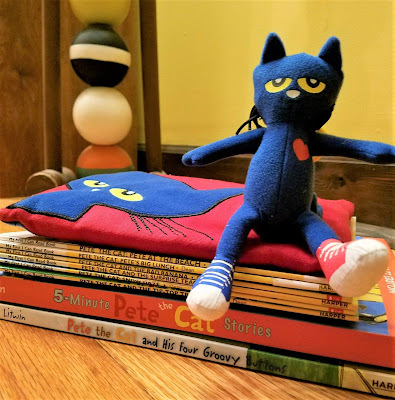 For several days now, we have been watching the new Pete the Cat show on Amazon Prime. Have you seen it? Only one episode is up right now; it was released on Christmas Day but the story is about New Years resolutions. It's cute to see Pete as a "real" cat, and all his friends are so much fun! The only negative I can think of, and this is incredibly minor, is that Pete doesn't talk until the very end of the episode. All of the other characters are pretty chatty, and even my three-year-old son said "Pete can't talk because he doesn't have a mouth." Which is true - there is no mouth most of the time, but Pete does talk at the end, so clearly that's not the issue. I just would have like to hear more from him. 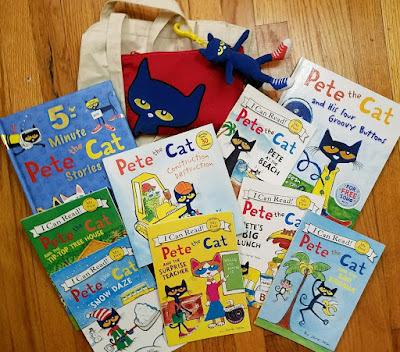 I think Pete the Cat books make a huge difference with kids' literacy, reading enjoyment, and vocabulary, based on what I have seen with my son and the kids at school where I teach. Having Pete not talk on the show seemed to be a strange decision. But it's still an enjoyable episode, and we've watched it a few times and it hasn't gotten old. We're looking forward to more episodes. Amazon does a pretty good job with their kids' shows based on books - we're also huge fans of the Stinky and Dirty Show, based on the books by Kate McMullan and Jim McMullan. I initially thought this was a book of short stories for middle graders... and it kind of is. The chapters can be read as stand alone stories, but the characters all go to the same school, and work together in the last story. It reminds me a lot of Sideways Stories from Wayside School by Louis Sachar - each chapter can be read as a complete short story, but all the characters go to the same school and interact with each other. Like Sachar's book, there is humor is the Code 7 stories, though it is more subtle and tongue-in-cheek than Wayside. These stories have a positive spin, with the students taking action for an idea they're passionate about. This shows the kids reading that they have the power to change the world around them, just like the characters they're meeting in Code 7. 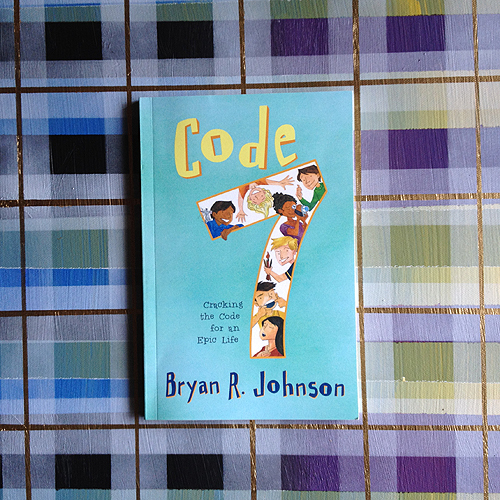 Code 7 is a great book for parents and teachers to read aloud to, or read along with, their middle grade kids. These engaging, quick stories are sure to inspire the readers to take action. 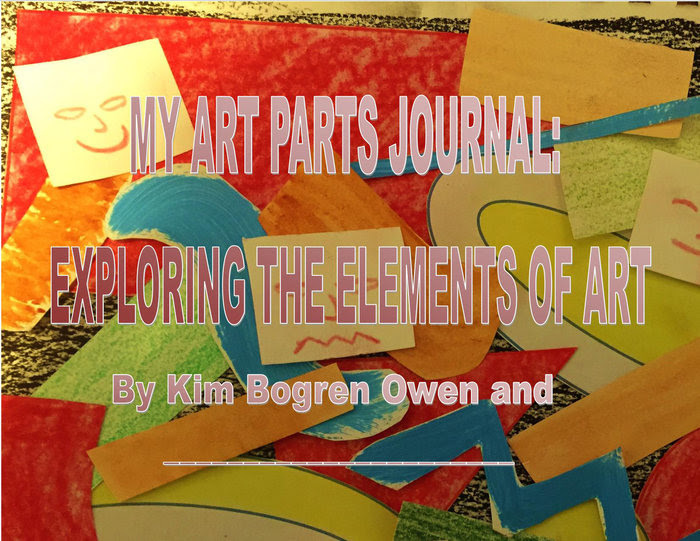 Art Parts is a fun, simple way to introduce kids to basic elements of art. The book shows examples of lines, shapes, color hue and saturation, texture, and more. There are blank pages next to each "lesson" so the kid has a chance to try their hand at what they just learned. It's kind of like an art workbook, except it's a beautifully bound hardback so kids will be excited to see their art in a real book! There are resource pages at the end to extend the activities in the book, and help relate the lessons to everyday life. It's fun to help your kid point out different lines and shapes they see in real life, identify colors and light, and more. I was excited to get this book because my husband is an artist, and I thought he would have a lot of fun introducing these concepts to our three year old. 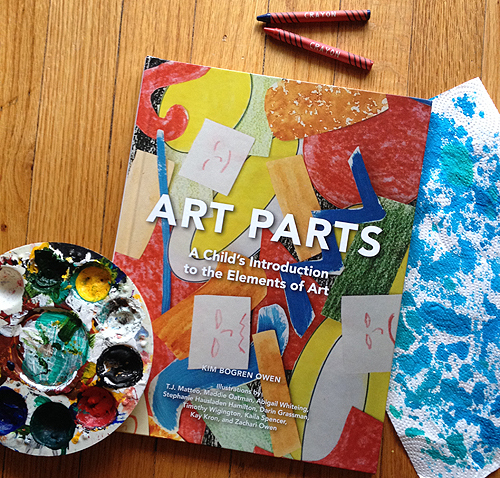 He loves working hands-on teaching art to kids, and this book really helped him figure out how he can break concepts into small lessons that kids can understand and master. I, on the other hand, can hardly draw a stick figure, so I figured this book would just be a father and son experience. But I've gone over it with my son and really enjoyed experimenting with the concepts myself! I think this is a fun, engaging, interactive book for all ages. 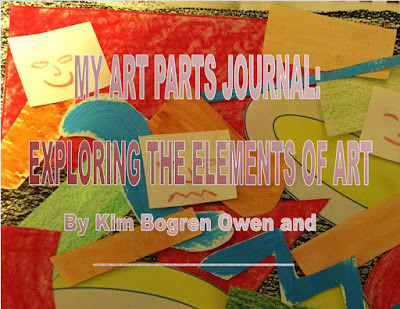 If you buy the book, you get access to journal pages so a whole family or classroom can create their own art books! If you've already bought the book, you can get a code to access the pages. If you don't have the book, you can access the journal pages for a fee. Trust me, this book is so engaging, it's worth it to expand lessons and creativity beyond the book! Disclaimer: The author sent me a copy of this book in exchange for an honest review. Spring thunderstorms have kept the chickens cooped up (no pun intended!). 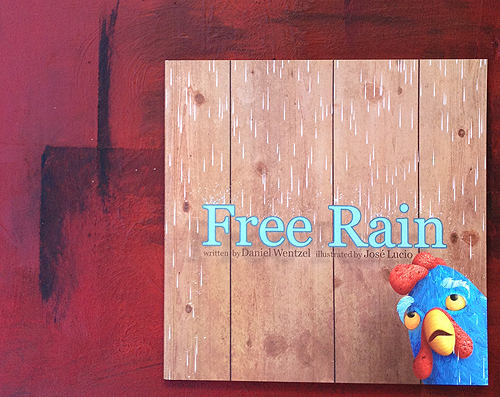 When the blue chicken overhears words that sound like "free rain", he alerts the others. They remain unimpressed, seeing that rain has been dripping through their roof for days. But when they realize that Blue is out of his cage, they understand the words as "free range". The chickens are scared to leave their cozy coop and confront the wild world and large creatures that live in the barnyard beyond. But when their food supply stops coming to them, their hunger pushed them to leave the barn. The concept of the story is nice, but it goes a little long, and lacks a nice punch at the end. The typography is excellent, though. Some words are placed in paragraphs like a typical book, but the exclamations and animals noises are written in a big font, almost scattered across the page. It was really engaging to go from more rigid text to words stretching across the spread. The illustrations are gorgeous. The colors are vibrant, and the chickens are very expressive. Who knew a beak could convey so much emotion?! Lucio's collage style is amazing, from the way he uses sewn button holes for chicken eyes to the way you can practically feel the coop's dirt floor when you touch the page. As far as age range, it was a little advanced for my three year old son. I think it's a good read for kindergarteners to second grade. The concept of "free range" and the chickens being nervous about exploring freedom is perfect for that age, as they adjust to relative freedom at school and with other transitions. But it's easily adaptable for younger readers. Each chicken is a different color, and it's fun to point out and name all the colors with a younger child. You can also identify the barn animals that poke their heads into the coop and scare the chickens, and make animal noises with younger children. Disclaimer: The illustrator sent me a copy of this book in exchange for an honest review. 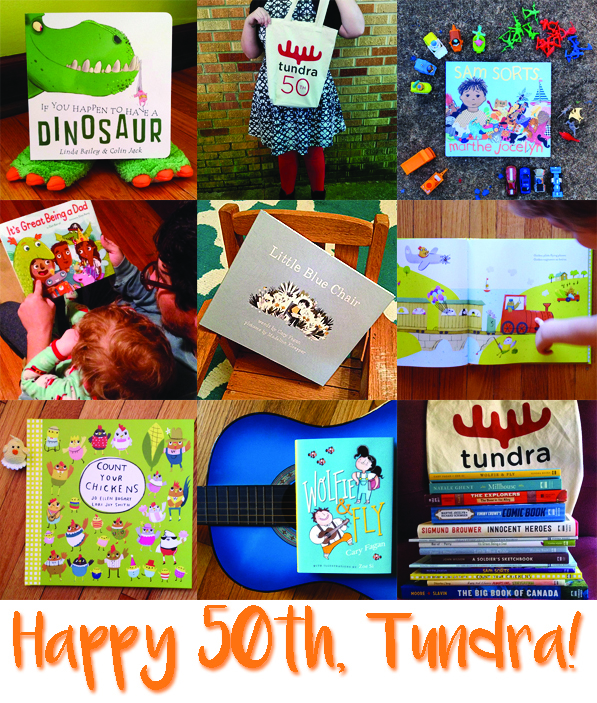 Tundra Books is celebrating its 50th year! They have Instagram reps sharing in the fun, and I was lucky enough to be one for spring! The Warren Hotel has been traveling for several months now, but exploring new terrain means Warren the 13th has to stay on his game to keep everything in tip-top shape, especially since the hotel is nearing the Malwoods. Witches and other dangerous creatures live there, so Warren needs to make sure he can change the hotel's path to ensure he doesn't put his hotel guests in harm's way. But everyone wants a little bit of what the Warren Hotel possesses, whether it's the fame of the hotel itself, or someone staying inside it. And those villains aren't going to stop until they get what they want! What is especially wonderful about this book is how Warren the 13th isn't the only "main" character - Petula and Sketchy get into their own troubles and really develop as strong characters. It's engrossing to have separate suspenseful storylines going on at the same time. 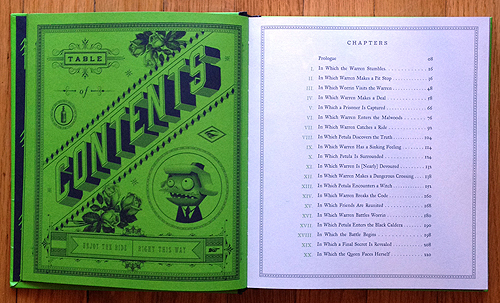 This book is just as gorgeous as the first, with green as the highlight color, compared to the first book's red. 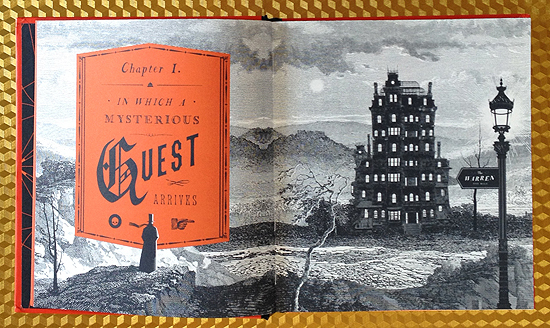 There are beautiful, expressive illustrations on every page; even the table of contents is no exception! The graphic designer in me can't get enough of these beautiful books. 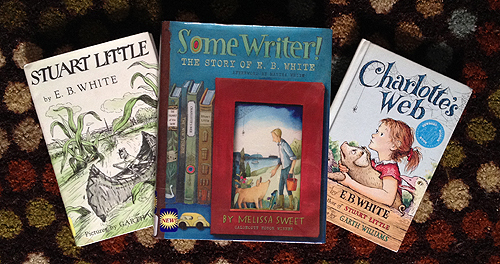 They're so unique in look, layout, and story that I haven't stopped recommending it to kids (and adults, let's be honest). I love a lot of books and love to share those favorites with others, but this is one series that I am so eager to share with my son, because I know he's going to love soaking in the visuals and the story as much as I have. 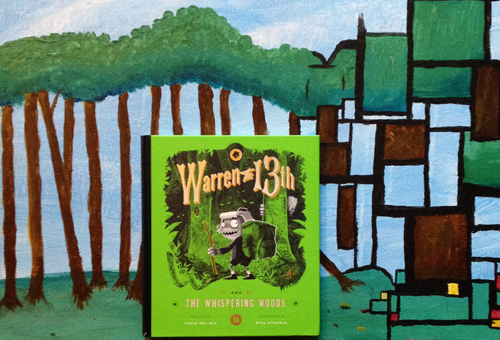 Disclaimer: I was sent a copy of Warren the 13th and the Whispering Woods by Quirk Books, but the review is my own. Thank you to my husband (LightBoxArt) for letting me use two of his paintings as backdrops for book photos! They fit so perfectly with Warren the 13th! 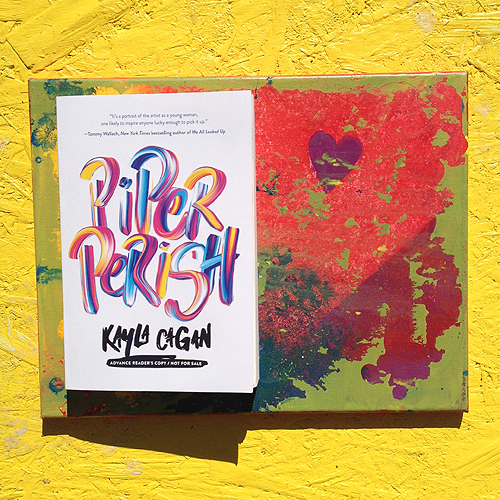 Piper Perish is an artist obsessed with Andy Warhol. She dresses in fantastic styles, inspired by Warhol. She has short silver hair, in tribute to Warhol. And she's determined to go to art school in New York City and try to live like Warhol. Piper isn't going to New York alone; she's been planning this dream with her boyfriend Enzo and her best friend Kit for years. But when Enzo breaks up with Piper at a New Year's Eve party their senior year, Piper isn't so sure the dream will happen. Told in diary entries and doodles, this book is a compelling story about friendship and following dreams. The family dynamic in the book was a little strange and felt unrealistic, but the main storyline really drove the book. I read this novel in a single sitting. I absolutely could not put it down. It made me feel like a teenager again - being obsessed with an artistic person (mine was Steven Tyler - I wanted to BE him! Don't laugh! Ok, you can laugh), being so confident in your passion, feeling like the world is your oyster. This book is so inspirational, and I've already recommended it to several teens at my library. I think it's an important book for adults to read, too - never forget your passion! 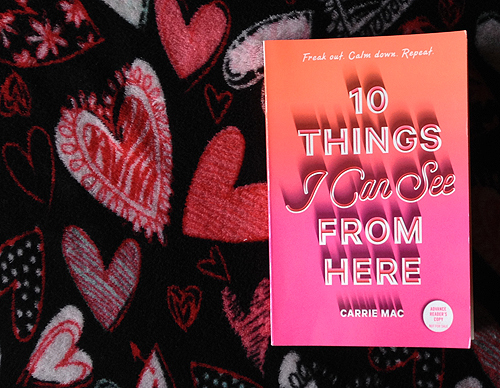 Maeve deals with extreme anxiety, and it doesn't help that her mom is traveling to Haiti and sending Maeve to live with her father for six months. Her father who is a recovering alcoholic, and whose wife is seven months pregnant and planning a home birth - Maeve can't even begin to list all of the possible problems with that situation! Maeve's life seems to be spiraling out of control little by little, getting derailed by things that might not necessarily throw anyone else off track. When Maeve meets Salix, she's nervous, but ready for her first real relationship with a girl. But then again, Salix is another person for Maeve for worry about while she struggles to balance her family's other problems. 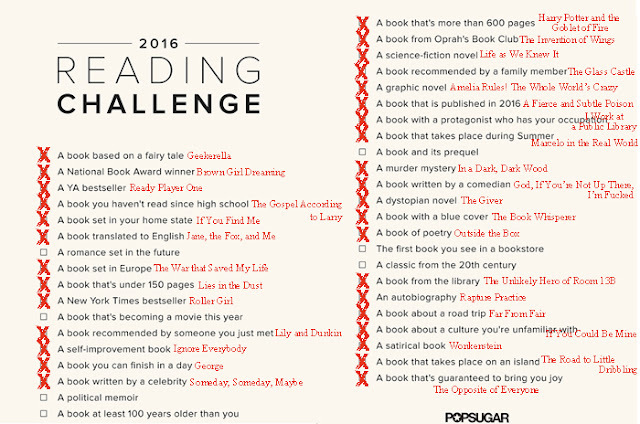 This book was very engaging and easy to read - I finished it in two sitings because I couldn't put it down. Even now, the characters keep popping into my mind. They are all very realistic and well-rounded. No one is "good"" or "bad" - everyone is flawed, and Mac addresses this wonderfully. I especially loved that Maeve's family is supportive of her orientation, which is nice (and unfortunately rare) to see represented in young adult fiction. My only problem with this book is something of a backhanded compliment - it ended too soon. I would have loved to see more of the characters, but also I feel like the serious, important part of the story is yet to come. It is said over and over that Maeve is only staying with her father for six months, but she is embarking on her first serious relationship and growing closer to her family and neighbors, especially when compared with the isolated life she and her mother seemed to lead in another town. I think this novel had great character development, but they weren't necessarily thrown into the fire as I would have liked to see. This beautiful picture book came just in time for spring break! 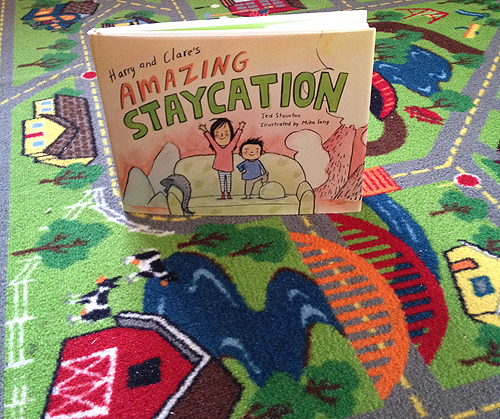 Their family is not going out of town for vacation, so Harry and Clare have to find their own fun. When the rain keeps them indoors, they rely on their imaginations even more. Clare, being older, takes the lead on these imaginary trips, leaving Harry to do the grunt work. She bosses Harry around all week, until he decides to take the matter into his own hands and show Clare that he's more than just her sidekick! I love the realism the book is framed on - that not all families can or will go out of town on school breaks. Instead of whining about this fact, Harry and Clare set themselves up for adventure. I think this will inspire a lot of children to find fun in what's around them. 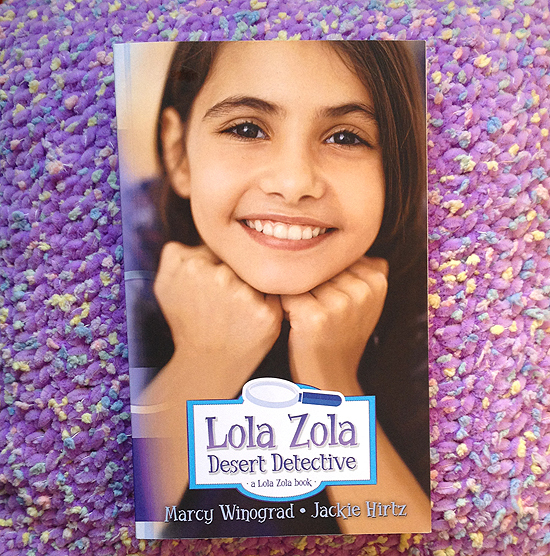 Lola Zola Desert Detective is the third book in the Lola Zola series, written by Marcy Winograd and Jackie Hirtz. Lola Zola and her friends have their lemonade business, of course, always! Wise investor Ruby Rhubarb has taken the girls under her wing and into her social life, inviting Lola, Melanie, and Samantha along to attend Saturday night bingo. It seems like the whole town is taken by the bingo host Barton Beasley - everyone except that one table of ladies. Melanie and Samantha just think he's silly, like a cartoon character. Lola only has eyes for Buck, her crush for quite some time now. And Ruby Rhubarb is still pining after her dear Harry, who died not long ago. Lola is glad her friends don't like Mr. Beasley, because she doesn't trust him. See, Mr. Beasley is peddling windmill sales by stressing how patriotic it is for a town to provide its own energy - a good idea in theory, but Mr. Beasley makes it seem slimy somehow. Lola is worried when her townspeople start buying stock in the hopes of getting their investments back and striking it rich in the process. But when Ruby Rhubarb falls for the Windmill King himself, and not just his hoax, Lola can't keep quiet anymore. Everyone knows Ruby Rhubarb's husband left her a fortune. And everyone knows - or knew - that Ruby Rhubarb could never love someone like she did Harry. With the Windmill King pushing for a quick wedding, Lola and her friends don't have much time to show everyone what scam Mr. Beasley is really trying to pull. With a lot of help from her friends, and maybe a little - but just a little - help from her hunky crush Buck, will Lola be able to expose the Windmill King's fraud and give the people of Mirage their money back? In this book, Lola (and the writers) are really hitting their stride. I feel like this is where it becomes clear that Lola Zola is indeed a series - the characters are familiar, like old friends. The adventures are new, but you know what might be around the corner because you know the characters' personalities - you know Lola's going to get into trouble, but you know she's got a solid crew behind her, ready to help out. The setting really gets developed in this book, but not in a boring way, like being toured through the town. Winograd and Hirtz utilize vibrant description to really show the readers what it's like to live in the desert town of Mirage, and I think future books will benefit from this development. 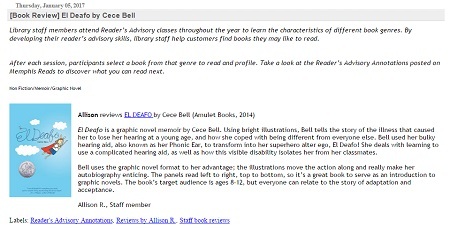 See my reviews of the first two Lola Zola books here. Warren the 13th and the All-Seeing Eye by Tania del Rio and Will Staehle is a fantastic middle grade book that will captivate all readers. There are gorgeous illustrations, an engaging story, and riddles, codes, and clues to involve the reader in the tale far beyond the words on the page. The Warren Hotel is in the middle of nowhere, and Warren has spent his entire twelve years there, just like all of the Warrens before him. The Warren used to be an upscale place to stay, booked months in advance. When Warren's father died five years ago, the hotel was left in the care of Uncle Rupert, at least until Warren the 13th came of age to care for the hotel on his own. Until then, Warren the 13th basically acts as the sole caretaker, since Uncle Rupert is too lazy to do more than nap. Uncle Rupert's new wife, Aunt Annaconda, acts sweet to her husband, but openly despises Warren, banishing him to the top floor because she hates children. A mysterious-looking guest comes to stay, and Aunt Annaconda is convinced the guest is searching for the All-Seeing Eye, a mysterious treasure hidden at the Warren Hotel. Warren thinks the All-Seeing Eye is a legend, but has to admit something strange is going on when more guests check into the long-empty hotel. 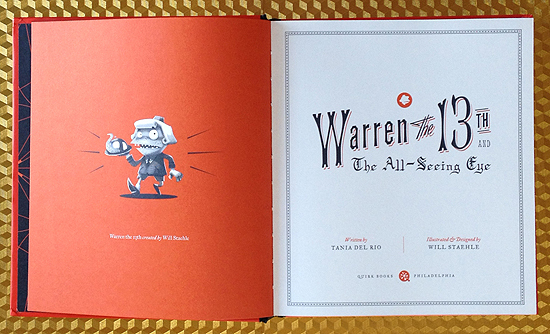 Once Warren finds the code-laden diary of Warren the 2nd, he's roped into the quest as well. 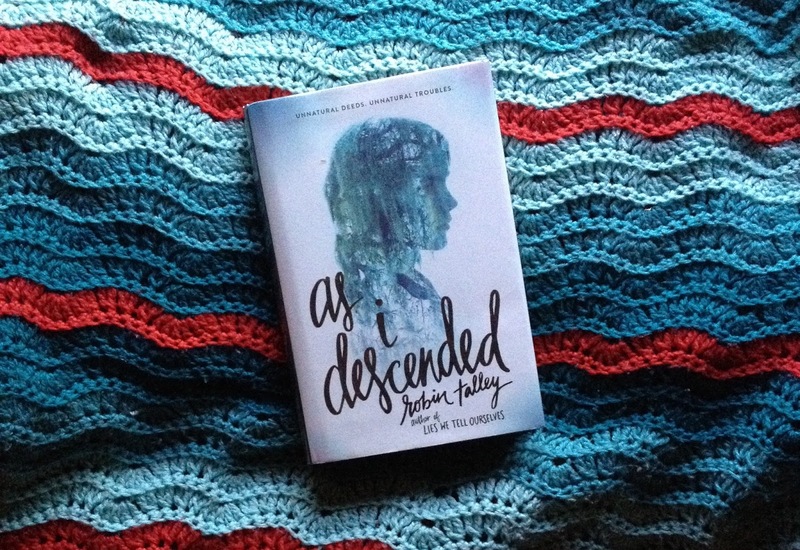 I loved this book because there was so much involving me in the story. The illustrations were breathtaking, and accompanied the action perfectly. The book’s layout is also engaging, such as the chapter headings reading differently at the top of each page, sections from others’ points of view being white text on black pages, and there being maps to search and codes to break to help Warren. 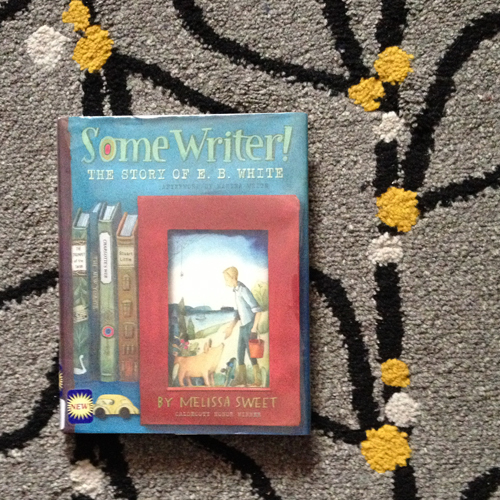 While I loved reading this book alone, I really look forward to reading it with my son when he’s older. I think this is a great read-aloud book for that in-between age when they might not want to ask you to read, but really want to hear a story. There’s so much that can be explored by two, making it perfect for a parent to share with their child. It is, of course, more than appropriate for a kid to read on their own. 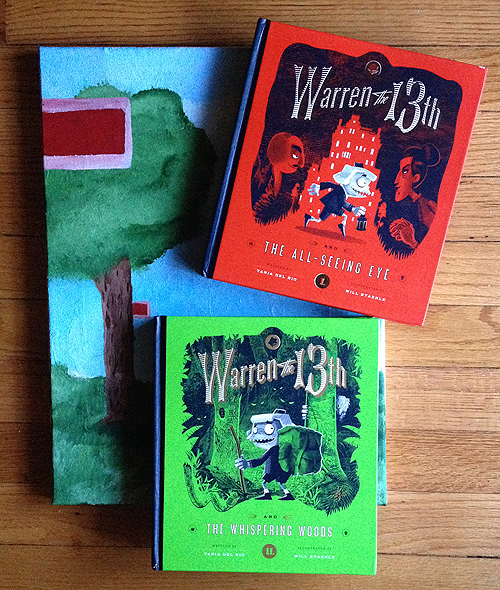 The second Warren installment, Warren the 13th and the Whispering Woods, comes out on March 21st, giving you time to grab your copy of Warren the 13th and the All-Seeing Eye and be ready for Warren’s next adventure! 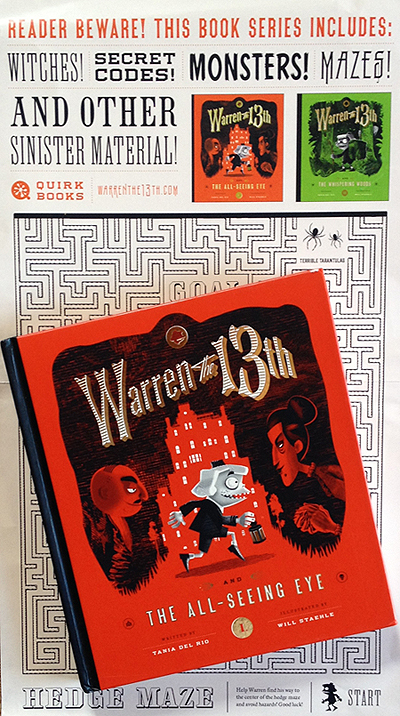 Disclaimer: I was sent a copy of Warren the 13th and the All-Seeing Eye by Quirk Books, but the review is my own.